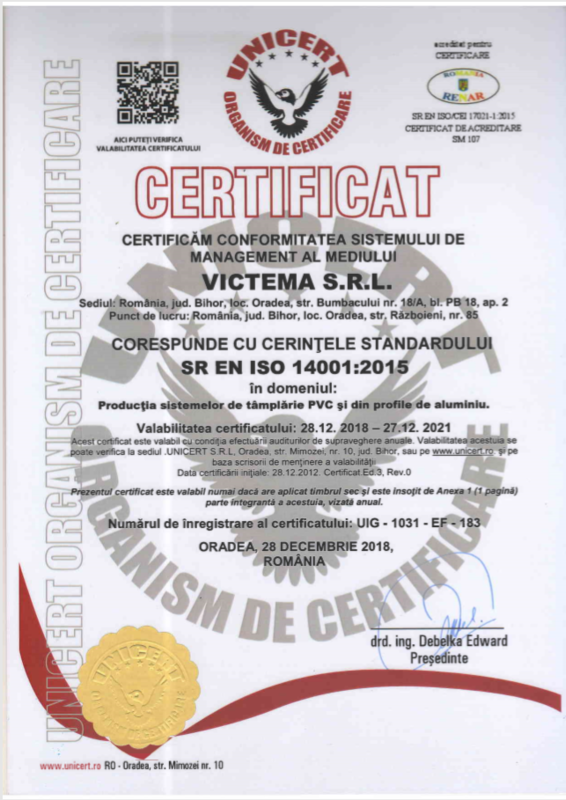 All VICTEMA LLC are made in accordance with European standards. 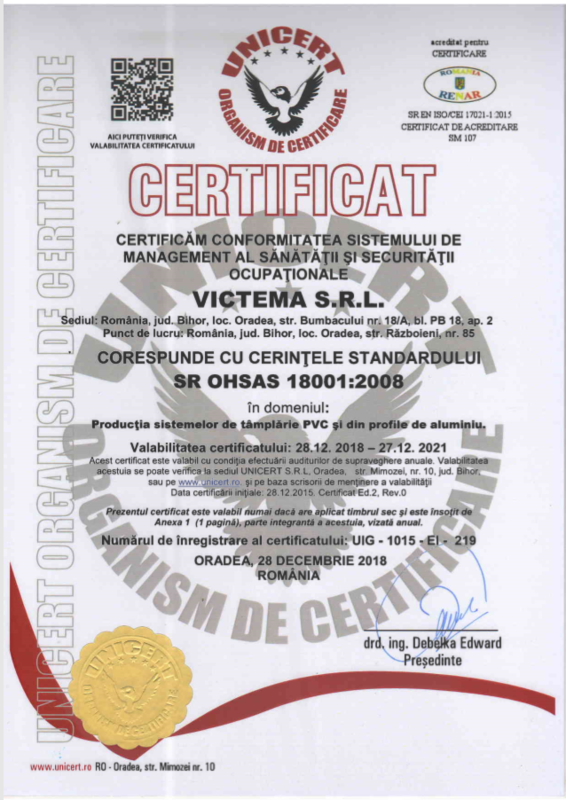 Thus, our company is certified by UNICERT International Group for implementing and maintaining a quality management system, environmental management and health and safety according to the conditions contained in ISO 9001: 2008, ISO 14001: 2005 and OHSAS 18001: 2008. 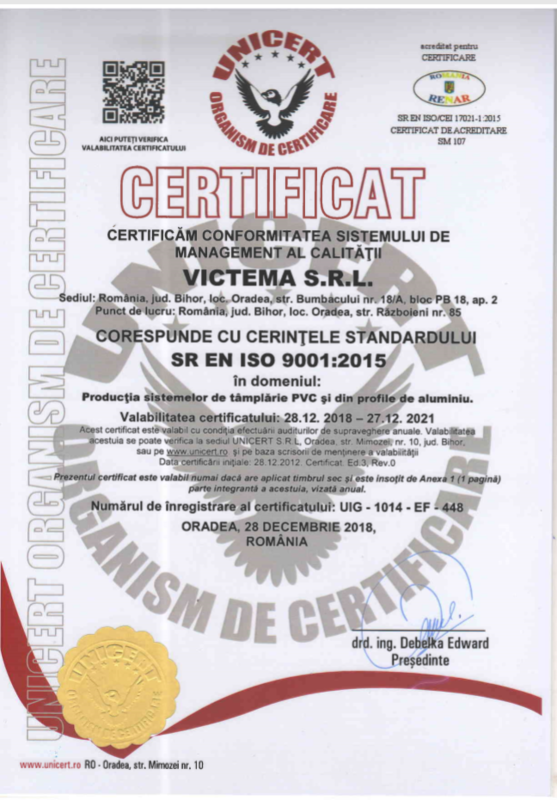 At the same time, our company is registered in the Romanian Thermo-Insulating Woodworkers Registry. Since its establishment, the company has held technical approvals for our products and today they have EC markings.